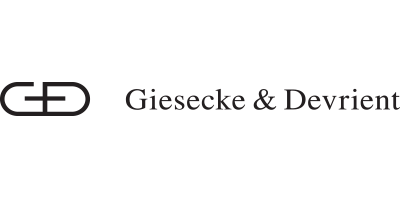 Giesecke & Devrient (G&D) is a leading global technology provider with its headquarters in Munich, Germany, and 58 subsidiaries, joint ventures, and associated companies in 31 countries across every continent. At the end of 2014, G&D had approximately 11,450 employees and in fiscal 2014 generated total sales of 1.83 billion euros. 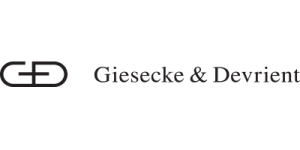 G&D was founded in 1852 by Hermann Giesecke and Alphonse Devrient as the “Officin für Geld- und Werthpapiere” in Leipzig, a city with a rich printing and publishing heritage. It is a family-owned company with roots in Germany and operations all over the world. Its ethos is based on trust, security, and professional expertise. Innovative, customer-centric products, system solutions, and services make G&D a reliable partner for governments, central banks, security printers, commercial cash center operators, public authorities, and companies. With its solutions, products, and services the G&D Banknote business unit, together with its wholly owned subsidiary Louisenthal, safeguards the trust in banknotes worldwide. The business unit, comprising the Banknote Solutions and Currency Management Solutions divisions, supports the complete cash cycle, from banknote substrate production, banknote design, and banknote printing to secure processing. G&D supplies over 150 countries around the world with its portfolio consisting of banknote security solutions, substrates, printing and processing systems, as well as cash centers, plant engineering, managed services, and lifecycle services. Customers around the world include central and commercial banks, banknote print works, cash-in-transit companies, and casinos. G&D also supplies banks, mobile network operators, public transportation providers, companies, and original equipment manufacturers (OEMs) with end-to-end solutions comprising hardware, software, and services for mobile security applications, especially in telecommunications and electronic payments (Mobile Security business unit). The company also provides governments and public authorities with turnkey end-to-end solutions for highly secure travel documents, ID systems, and healthcare cards, which can be used for conventional identification purposes as well as for authenticating and safeguarding online business transactions (Government Solutions business unit). Research and development have always been a top priority for G&D. The Group currently has 1,200 developers working on new products and processes, and R&D spending totaled around 120 million euros in fiscal 2014. G&D holds some 7,250 patents and patent applications worldwide.